Our Retail Management Simulations are designed specifically for developing the commercial awareness & capability of managers within the retail sector. The simulations provide a powerful and engaging learning experience set in the context of the current retail environment. Participants develop new skills and insights around what it takes to manage a successful retail operation in today’s competitive marketplace. 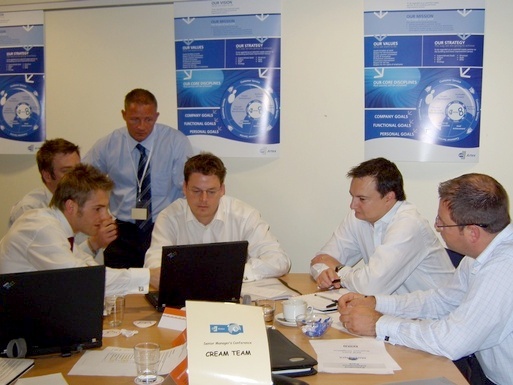 Participants will manage and lead a retail operation making key commercial and leadership decisions during each round. They’ll use their best abilities to analyse the situation, plan their strategy and make the best decisions to improve performance. During each round of the Retail Simulation participants will make key decisions in all the critical areas of the operation, including marketing, promotions, propositions, sales, stock management, staff management, store management, overheads and managing the P&L. 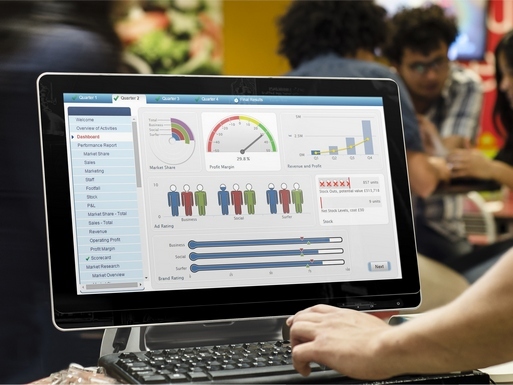 The dynamic nature of our simulations enables participants to see the true impact of each decision and how it impacts all elements of the retail operation and also the overall business performance. The built in flexibility of our Retail Simulation platform also allows you to use them as a standalone simulation or integrated into your existing programmes. It also means you can have a Retail Simulation customised to your business and your exact requirements. Our Retail Simulations are ideal for all levels of retail management can even be used to assess retail management candidates to ensure you recruit, maintain and develop the highest caliber of retail managers. "This is one of the most enjoyable, thought provoking and educational workshops I have ever done"
To find out how our range of retail simulations could be used in your organisation, please contact us to request more information or to arrange a time to speak to one of our team.